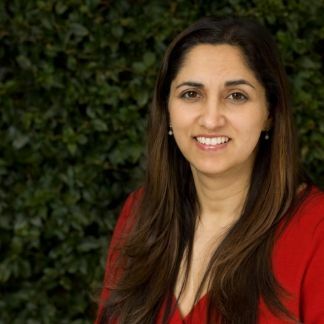 Nina Bhatti: "A technical entrepreneur's journey — what I learned from 4 accelerator and incubators"
Abstract: Nina will share her personal experience as a Silicon Valley technologist who founded a technology startup in 2014. During her journey she participated in 4 startup accelerator and incubators. She’ll share the best of what she learned and the unvarnished truth about her experience. The talk will focus on lessons that are especially relevant for technologists and academics entering the startup environment. Often business people and technology people see the world quite differently which leads each to emphasize different priorities. Investors as well have their own calculus which further complicates the priorities of early stage companies. Bio: Nina Bhatti is the founder of a mobile technology start-up Kokko Inc. (www.kokkoinc.com ) which builds color accuracy solutions for retailers based on computer vision, color calibration and machine learning. Previously, she held leadership positions at Hewlett-Packard in product engineering and as well as research. She is a technologist who is as interested in “what to build” as “how to build it.” While at Hewlett-Packard she led teams building technology for imaging applications, cloud services, augmented reality, network application performance, web servers, streaming media servers and video conferencing systems.